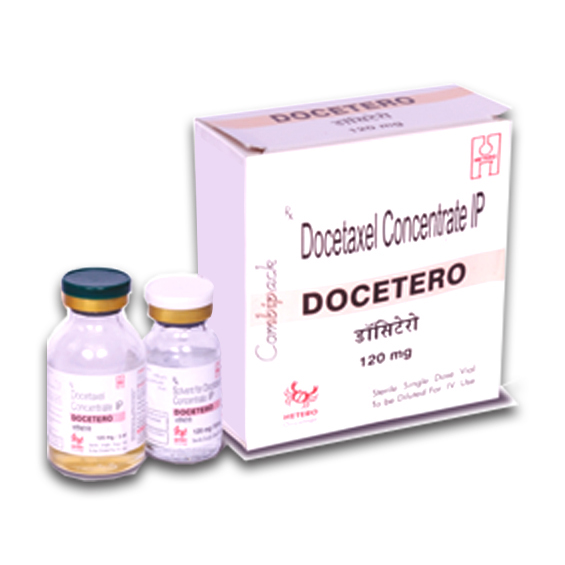 Docetero 120 MG Injection is an anticancer agent which is used in the treatment of various cancers of lungs, head, stomach and breast. It should be used under the supervision of a qualified physician. Close monitoring of blood cell count and liver function test is necessary while receiving this medication. DOCETERO 120 MG INJECTION is used in the treatment of breast cancer, non-small cell lung cancer, cancer of head and neck and prostate cancer.